Google updates are nothing new. In fact, Google makes updates to their algorithm regularly. However, the core Google updates that occurred on August 1, 2018, have caused an internet uproar. Let Us Help You with Google! The most recent Google update, known as “Google Medic,” was intended to be a global, broad core algorithm update. The rollout, according to Google Search Liaison, Danny Sullivan, was meant to affect all Google search results, regardless of language or region. Perhaps unexpected, however, was a major shift in both local and organic algorithms as well. The Google Search Liaison team, via their Twitter account, has stated that the Google Medic algorithm updates are similar to those made on March 9, 2018. In both instances, website relevance and quality appear to be the primary target of the algorithm changes. Per many experts, Google Medic appears to be focusing on E-A-T (Expertise, Authoritativeness, and Trust) parameters in its new ranking system. How Did This Google Update Affect Websites? Google Medic, as a global update, would imply that every niche would be affected. However, as the dust settles, the metrics are rolling in and a surprising, often untouched, niches have been significantly impacted. Of those first to be impacted, medical and health websites took an immediate hit as Google Medic updates began. (Hence, the Google Medic label!) In fact, Barry Schwartz of Search Engine Roundtable, has collected data from over 300 websites to analyze the damages Google Medic caused. Of them, almost 42% of sites that were negatively affected were medical or health-related. However, these were not the only types of sites to feel the effects. “Your Money, Your Life” (YMYL) sites were also significantly impacted. YMYL websites are those that focus on life events and money. This includes sites that solicit personal information, request monetary transactions, offer medical or health-based information, or pages that provide advice for major life decisions or finances. E-commerce (16%) and business (11%) websites make up the next two largest groups of websites affected by Google Medic penalties. As a whole, however, we can safely say many sites were impacted, both through local and organic rankings. Entertainment, coupon, online games, travel, and many more niches all felt at least some kind of sting. On a positive note, however, August 13, 2018, saw slight fluctuations and increases for some of those who were severely impacted by the latest Google updates. While trends are still being evaluated by the experts, this shows that the dust may not have fully settled yet. What Can You Do If Google Medic Affected You? As with any update, an algorithm change can result in a Google penalty. Unfortunately, Google has stated that there is “no fix” if the Medic update affected you. 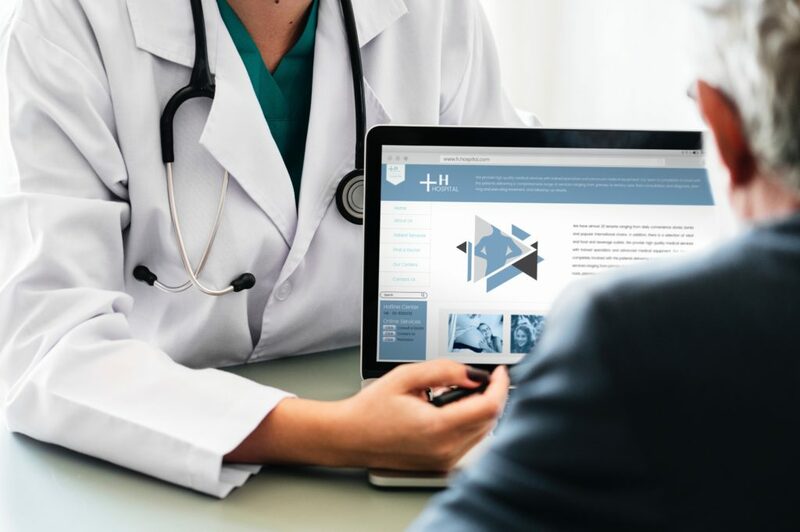 Because the intent of Google Medic was to help promote sites that were once undervalued, the focus should be on finding ways to improve your overall website. While Google offers little advice, plenty of experts have weighed in. Dr. Marie Haynes, one of the top experts in the search engine optimization (SEO) industry, offers several suggestions to help negate any Google penalty your website may have suffered as a result of the Medic update. Because Google Medic seems to focus on E-A-T features, Dr. Haynes recommends you proudly display all of your reasons as to why you are considered an authoritative voice in your niche. This can include awards, press recognition, experience and much more. Not only should this be included on your “About” page, it should also be summarized or linked to every article featured on your page. If you have featured a blog by another authoritative author, attribute the article to him or her and again provide E-A-T reasoning. Improving the overall reputation of your website and any authors is also important. Having your authors features elsewhere or in the press, as well as including testimonials and reviews can help accomplish this. If you offer products on your site, give them an unbiased evaluation. Spam, sketchy or potentially hazardous products may not result in a Google penalty that drops your ranking. Bad reviews or complaints should be immediately addressed as well. If your site offers diet products, medical devices, or other health-based items, extensive and relevant information needs to be available. Product reviews and discussions on your website or social media postings can help to increase the E-A-T for these types of products. Google’s Quality Rater Guidelines (QRG), frequent SEO self-audits, avoiding black hat practices, including relevant content, and a deep analysis of your website are also suggested methods for boosting your rankings. Increasing your ranking will take time. Unfortunately, while Google Medic damaged rankings overnight, negating the effects of a resulting Google penalty will take much longer. Rank recovery takes dedication and a serious evaluation of your website, products, and E-A-T features.